In its bid to help diversify the economy away from oil and boost the growth of the non-oil export sector, the Central Bank of Nigeria (CBN), in June 2016, launched the N500 billion non-oil Export Stimulation Fund (ESF). According to the apex bank, the purpose of the fund is to provide concessionary finance to non-oil exporters; provide long-term fund at single digit interest rates to non-oil exporters and aid non-oil export productivity and create more jobs. Other objectives of the fund include to expand the diversification of the Nigerian economy in the non-oil export sector, boost contribution of non-oil exports for sustainable economic development; increase foreign exchange (forex) earnings as well as broaden the scope of export financing instrument. According to the guidelines for operating the fund, the CBN will invest in a N500 billion debenture to be issued by the Nigerian Export-Import Bank (NEXIM) in line with Section 31 of CBN Act. This makes the apex bank the sole investor, having invested half a billion naira for the purpose of funding non-oil export; it determines the lending limit and applicable rates and also reviews the operating guideline as may be deemed fit.NEXIM, on the other hand, is the ESF managing agent in charge of the day to day management and administration of the fund and renders periodic returns to CBN. These are Deposit Money Bank (DMBs), otherwise known as commercial banks, and the Development Finance Institution (DFI) in charge of liaising directly with interested customers and reviewing and appraising applicants’ eligibility, who then forward eligible applications to NEXIM for disbursement. According to HYPERLINK “http://www.nigerianbanker.com” www.nigerianbanker.com, only an export oriented company registered in Nigeria with verifiable export off take contract agreement with an importer overseas will be eligible. The company must have satisfactory credit report. An AMCOM debtor may also be eligible only with special clearance of the CBN. 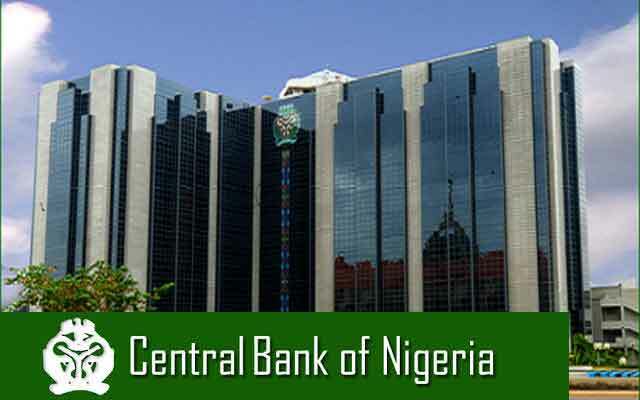 The eligible transactions, according to CBN, cover export of goods wholly or partly processed or manufactured in Nigeria; export of commodities and services, which are permissible and excluded under existing export prohibition list; imports of plant and machinery, spare parts and packaging materials required for export oriented production that cannot be produced locally; export value chain support services such as transportation, warehousing and quality assurance infrastructure; resuscitation, expansion, modernisation and technology upgrade of non-oil exports industries and stocking facility/working capital. Short term finance: This is expected to provide funding for working capital and stocking requirement of non-oil exporters. It is structured to take care of trade export financing and pre and post-shipment funding gaps. Tenor: It has a maximum tenor of one year and can be rolled over twice subject to CBN approval. Interest rate: 7.5 per cent, all inclusive with roll over fee of 0.25 per cent. The facility is expected to be cleaned up every 90 days.Medium to long term finance: The facility is expected to take care of export-oriented projects funding such as expansion of export-oriented facilities and business financing along the export value chain.Tenor: It has a maximum tenor of 10 years with two-year moratorium inclusive.Interest rate: Nine per cent, all inclusive. Interest charges during moratorium period can be funded separately alongside project funding or capitalised.Repayment of principal and interest after the moratorium period will be quarterly. The facility will not exceed 70 per cent of the total cost of the project or transaction, subject to a maximum of N5 billion. The following are the basic documents required to access the fund, according to HYPERLINK “http://www.nigerianbanker.com” www.nigerianbanker.com.Written request from the customer to a PFI seeking funding under the ESF. Certified true copies of business registration documents; feasibility study/business plan of the project; relevant permits/licences/approvals (where applicable); verifiable export orders/ contracts or agreement and arrangements/commitments; Environmental Impact Assessment (EIA) Report (where applicable) and all other documents as may be requested by the PFI. Exporter wishing to access ESF applies to the bank by executing the application form and complying with its terms and conditions. The PFI reviews application to assess eligibility under ESF and viability for the applicants project/business. The PFI submits ESF loan application on behalf of eligible export-oriented enterprise to NEXIM. NEXIM reviews and submits the appraised ESF application to CBN for reviews and approval/decline. CBN notifies NEXIM of its approval/decline. NEXIM advises approval/rejection of application to PFI. Upon approval by CBN, NEXIM advises PFI and the fund is made available to PFI under advice to NEXIM. The loan is then disbursed to the customer within three working days of receipt of funds from CBN. Repayment from customer (principal and interest) is remitted to CBN on quarterly basis along with appropriate returns/reports. Skye Bank’s website www.skyebankng.com has been recognised as one of the most improved bank websites as announced by foremost web ranking Agency, Web Jurist, powered by Philips Consulting in its just-released rating. Skye Bank rose from its previous 18th position in ranking to the 8th position in 2016; beating traditional leaders like Access Bank, Diamond Bank, FCMB and Union Bank. According to the results which placed Ecobank in the overall first position, Skye Bank’s website recorded first position in Performance and Accessibility category and third position in technical efficiency. Web Jurist performance parameter evaluates the overall performance of websites in Nigeria, measuring such critical metrics as the extent to which web pages have been optimized and speed of response; while the accessibility parameter evaluates the ease experienced by a customer in executing business transactions effectively on the website. The Technical Aspects, evaluates the website’s functionality based on the ease of navigation, as well as the security features. A cross section of industry stakeholders who reacted to the recent website ranking, lauded the effort of Philip Consulting in sustaining the tradition of assessing industries performance online, noting that digital competitiveness is very critical for the service industries. Becky Okoro a customer of Skye Bank shared her experience on Skye Banks internet banking platform. She noted the satisfaction and ease she experienced while carrying out transactions on the website. “I find it easier to make online payments using Skye Bank internet banking platform; I pay most of my utility bills and my children’s school fees through this platform. Yinka Adebambo, an industry analyst and a Web Solutions Engineer, commended Phillips Consulting for the initiative, noting that the Annual Web Jurist Awards has proved its mettle over the years. “This periodic review of organization’s website has helped to provide a solid premise for constant improvement and customer experience,” he emphasized. On his part, Mr. Degunle Sokunbi, Managing Director, Index Tech-Land, a web-based company in Lagos, while commenting on what the Web Jurist award and recognition confer on awardees, said: “The hunger to ‘do well’ at the awards have revolutionized the online presence of many companies, hence the positive increase in online customer satisfaction index, security and trust, while serving as a virtual branch. On the credibility of the jurors, Mr. Sokunbi noted that; “The rating index speaks for its self. If you look at the past winners and the quality of their websites, you can hardly fault the results. Regardless of personal opinions, these standards are now being adopted by many organizations as their development bench mark. Commenting on the recent ranking, Skye Bank’s Head Corporate and Strategic Brand Management, Nduneche Ezurike, explained that industry leadership in the digital space is one of Skye Bank’s value propositions to its customers. In his words, “ our ranking is encouraging but our website is really work in progress. Skye Bank digitization initiative is intended to instil a memorable experience in the mind of our online customers. We know that the bank of the future must align with the lifestyle of the customers, hence our determination to improve significantly on this result”, he maintained. For 12 years, Philips Consulting has consistently rated the official corporate websites of financial, telecommunications and media institutions using detailed criteria developed specifically to evaluate the effectiveness and performance of web sites. These criteria are; Performance, Consumer Experience, Accessibility, Technical Aspects, Site Content, Web Transaction Processing and Aesthetics. Skye Bank has over the years maintained industry recognition and received several awards and laurels with its state-of-the art technology platforms translating into convenience for its customers across various touch points like P.O.S, ATM, internet banking and Skye Mobile.